product.AutoCAD is one of the first CAD software packages. It was introduced in the year 1982.
advantage as compared to any other CAD software. 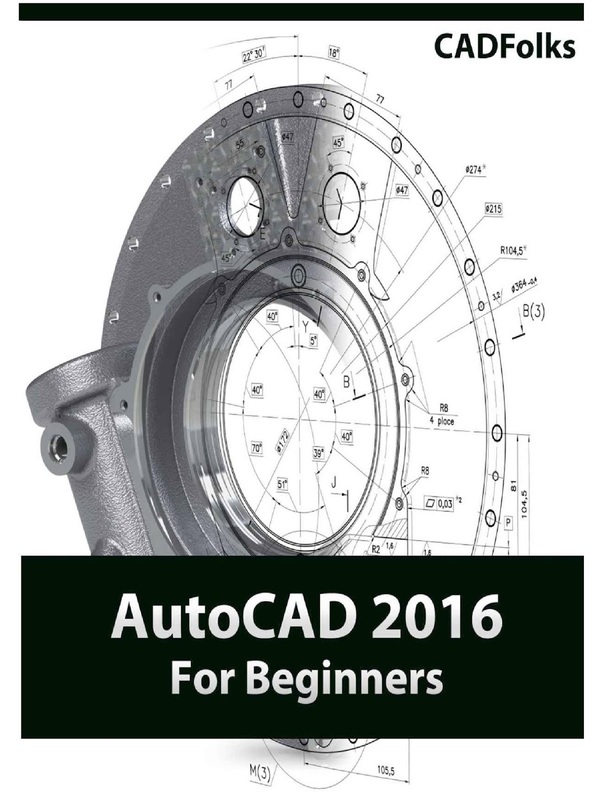 Chapter 1, “Introduction to AutoCAD 2016”, gives an introduction to AutoCAD. The user interface and terminology are discussed in this chapter. will create simple drawings using the drawing tools. create new objects using the existing ones. Chapter 7, “Parametric Tools”, teaches you to create parametric drawings. control the shape and size of a drawing. section view is the inside view of a component when it is sliced. annotative objects. Layouts are the digital counterparts of physical drawing sheets. Chapter 12, “3D Modeling Basics”, explores the basic tools to create 3D models. create new objects by using the existing ones. design in AutoCAD. You will design a floor plan and add dimensions to it.